These are similar to downhill skis, but slightly broader, softer and lighter. They often have a hole at the tip so they can be pulled up a cliff by rope or used for a makeshift sledge or stretcher. They can also have a notch in the tail for the clip, which keeps some skins in place. They are taken about 20cm shorter than your normal downhill skis for lightness and ease of turning in poor snow. 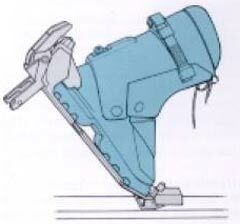 Touring bindings have two settings: the heel is free during climbing, but fixed for skiing downhill. A wedge adds comfort when walking uphill. There are no brakes, so powder straps are necessary. Securafix bindings slot into your normal downhill bindings. They enable you to walk uphill with a free heel and ski down using your own equipment. They are, however, heavy and in this game that's definitely a bad thing. 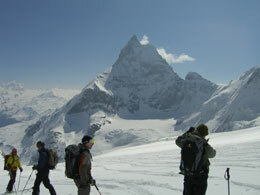 Normal alpine ski boots can be used, but special touring boots are advisable for longer tours to avoid blisters. These have two settings; a raked forwards skiing position and a free-flexing setting for walking. 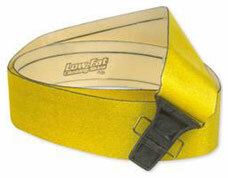 The sole should be of non-slip material. Normal poles with reasonable size baskets are fine for general touring. Telescopic poles, which can be folded and packed away if there is any tough climbing to be done or converted into avalanche search poles, are preferable. Skins are used to walk up slopes, the direction of the hairs preventing the ski from sliding back downhill. They are peeled off the skis and carefully packed at the top of the slope. These days skins are of mohair and polyester, rather than the traditional seal, and must be the right length for your skis. They are held by a reusable adhesive, applied before a tour and left to dry overnight. It can be topped up with a spray if necessary. In order to refold the skins after use, fold them adhesive-to-adhesive, bringing the tail and the tip to the centre. The sticky side must be kept dry. Skins should not be rolled, and should be protected against sun, heat and dirt.